Square layout. Colour (not essential). 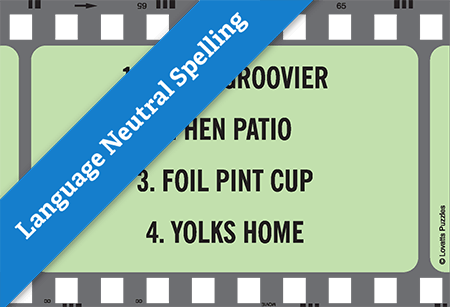 Solve the anagrams to find movie titles in which the featured film star had a role. Language Neutral spelling. Unscramble the anagrams to make movie titles associated with the named film star.